Chappell Builders is a South Australian brand that has been operating in the commercial construction sector for more than 50 years. We specialise in working with our clients to provide bespoke construction experiences across a number of sectors. 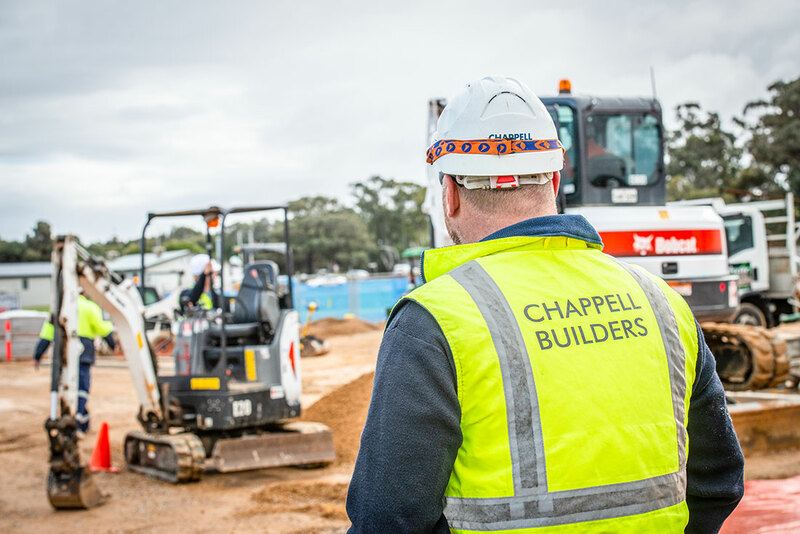 A focus on providing flexible and value-for-money services has allowed Chappell Builders to significantly grow its footprint in South Australia. Over the years, our professional expansion has not diminished our commitment to a personal approach when delivering quality and affordability on every project. We’re proud of the high proportion of repeat work for clients and referrals, which is testament to our commitment of getting the job done right, on time and on budget. Chappell Builders was acquired by the BADGE Group in 2013. BADGE, one of Australia’s largest privately-owned commercial construction companies, recognised the strong potential in the highly reputable company which came with 50 years’ experience in the SA building industry. We continue to operate independently with our clients benefiting from the security of BADGE Group resources and balance sheet with the personal service of our smaller organisation. In the last five years we have leveraged this structure to engage further with new and repeat clients as well as invest in building our own expertise and capabilities. This allows us to provide real value in the earlier stages of our projects, particularly via Design and Construct and Managing Contractor models in markets where we see increasing opportunities for the business. Chappell is proud to give back to the South Australian community through our corporate partnership with scosa. This local organisation provides a variety of vital services to support hundreds of South Australians living with a disability. Our staff participate in a number of rewarding activities throughout the year such as annual discos for scosa clients and quiz night fundraisers.